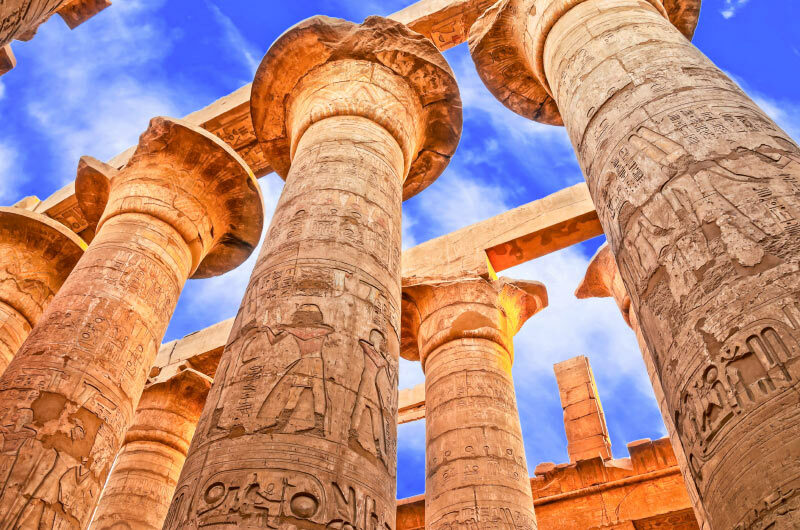 12 Day Classic Egypt with 7 Day Nile Cruise Book by Jun 13, 2019 & Save! Top 5 trip of a lifetime! Amazing. Stunning. Fulfilling. I've wanted to see the pyramids since I was a teenager and it was a long time to wait. 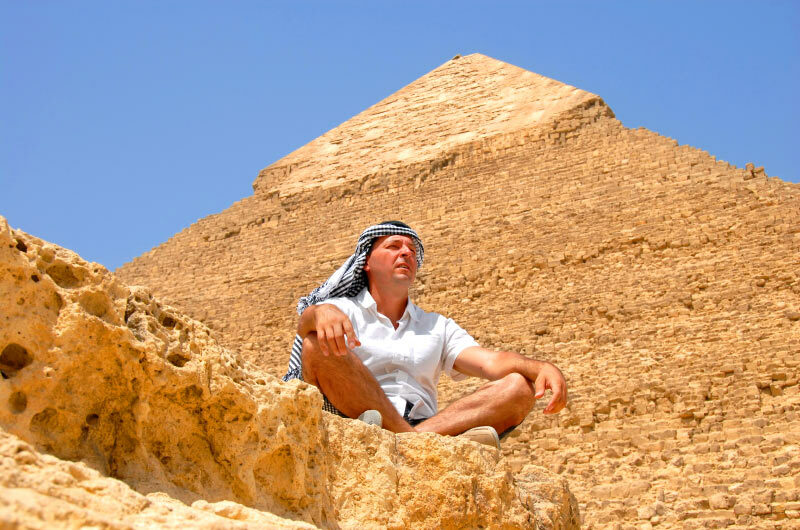 We saw the pyramids...……..and SO. MUCH. MORE. Thank you, Gate 1 for making a dream come true. I had a wonderful time in Egypt. It exceeded all my expectations and I want to add that we had an excellent guide throughout. Husam was knowledgeable, helpful, and went over and above to ensure we had a great time and felt safe. This was my first time traveling solo and at all times he made himself accessible to all my questions and helped in countless ways. He is definitely an asset to the company. Once again Gate 1 knocked it out of the park!! I can’t wait until my next adventure with Gate 1. BEST.TRIP.EVER. I will NEVER book with anyone except GATE 1. I feel like I have an entirely new FAMILY on every single trip I take. If I could adopt our tour guide, Hossam, I would do it in a heartbeat!!! Thank you for all you do at Gate 1. If it weren't for you and my yearly 'escapes', I don't think I would be enjoying life near as much. We had a wonderful time! Gate 1 travel treated us with unsurpassed professionalism. From scheduling to the unlimited information Mr. Amro shared with us during the tours, we felt this trip was well worth it. A trip of a lifetime that gave us memories to last forever! Jordan with Petra was the highlight for me. Our guide was Samer, We appreciated his services very much. The Kam Zeman dinner was not notable. On the road to Petra, I very much enjoyed Midway Castle and regret that it was only a brief stop. I saw some of the best Jordanian art plates and vases there. 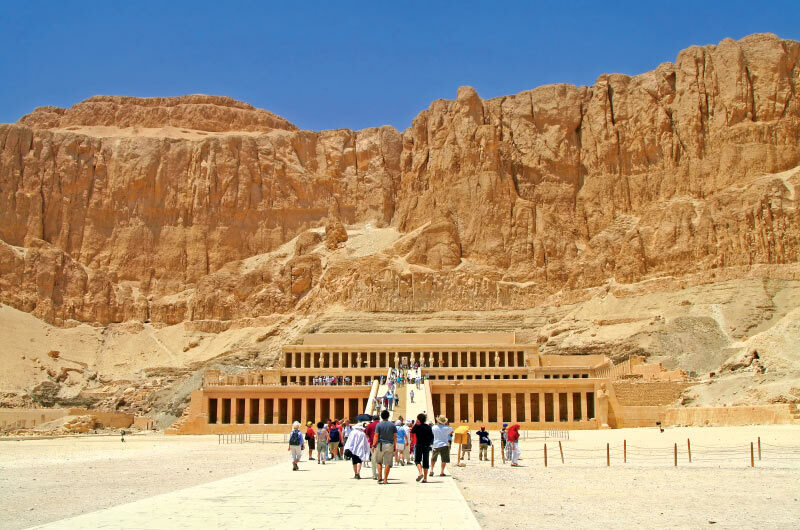 Despite the disappointments of not getting to the Pyramids and other Cairo scheduled stops during the Egyptian portion of the tour, we thoroughly enjoyed Aswan, the cruise and Luxor (both banks). Our guide during this portion was Fatma. She was marvelous, simply marvelous, and that was before the Egyptian uprising troubles began. As the situation deteriorated, she was constantly in touch with every official, Gate1 and Egyptian, that seemed useful. I think she salvaged a number of optional tours (Thebes and Karnak) that might have been lost with a less experienced and knowledgeable guide. Her depth of knowledge of Egyptology and local officials and conditions were invaluable. No need to banter on ... we had a great trip. Gate 1 Travel will be high on our list of tour operators. Wonderful and very exciting !! Your people did a great job of taking care of all of us under extreme conditions. Your company is to be commended and thanked. We had such a wonderful and amazing time in Egypt with Gate 1 Travel. We had such an amazing and great tour guide, Amro!! He was completely professional, personal, effecient, very knowledgable, and most of all protective of all of us, considering we were in a foreign country and having the demonstations starting. We fortunately left before the uprising in Egypt, and made it back to New York safely. I would definitely reccommend Gate 1 Travel to people, and my brother and sister-in-law are already planning on booking a trip with you for a trip to Italy. Thank you once again for the very memorable experience. Thank you. We loved it. It was one of the best vacations we have taken. We are thankful we had a safe trip and hope that our tour guide, Hossam, remains safe. I have nothing but praise for Gate 1 Travel. They took care of me from the time I landed. Every minor detail of the trip was taken care of. The guide, Mr.Hossum, was very knowledgeable and nice. When I take my next trip, it will be through Gate 1. The trip was better than I had ever hoped. I did not plan to be in on a Revolution, but that's how it goes. It makes a great story. We got out fine the day before they started to cancel flights. Ibrahim was the best guide I have ever had. He is so knowledgeable on every aspect of Egypt's history and culture. The Miridian Hotel and the Red Sea Resort were great. The crew on the boat was terrific and the food excellent. I will certainly book with you again. Our trip was FABULOUS! Ibrahim was the best guide ever. Loved every site, hotel, Neptune and on and on. We're sending people your way once the protests settle down. In summary, everything you said about the trip was true or even better than you explained. We will surely travel with Gate 1 again. And a big plus was the 34 people traveling with us. We had so much fun together. We had the trip of a lifetime! Our tour guide, Shereen, was absolutely wonderful! Her knowledge of Egyptian history, culture and religion was tremendous! Her experience as a tour guide was beyond all expectation! She took care of us all, had us up early to get to our destinations and kept us all safe and healthy, with her guidance no one got ill or in trouble. My husband and I are still floating on a cloud of excitement from our wonderful trip. We learned so much from our guide Shereen. Thank you to Shereen and Gait 1 for a far better trip than we could have ever imagined. The best trip ever. Our tour guide, Hishem, was excellent. He really made the trip enjoyable. His knowledge was unbelievable! Everyone in Egypt was friendly and hospitable. The accommodations were very good and the food was also very good. It exceeded our expectations. I am so glad I used Gate 1, we had great time. The trip was fantastic. You were right on the money with everything you told us including the Visa. It was an easy trip to a counter near immigration and a $20.00 fee. The only crimp in the trip was that Air France didn't get our luggage to us in Cairo when we landed and we had to wait 3 days to get it in Hurgada. The people with Gate 1 were absolutely the "best"! Our guide, Hisham, was beyond fantastic! He was an absolute doctoral level authority on all things Egyptian and made us feel like we had been one of his lifelong best friends. He took our daughter Catherine under his wing (knowing she was interested in graduate Egyptian studies) and spent so much time with her! The trip was life changing! Gate 1 has it down! Thank you for all your help! The trip was EXCELLENT! This was my third Gate 1 trip, and it will definitely not be my last - the value-for-cost is remarkable, especially the way you keep the single supplement cost as low as you do. As with any tour, the guide can make or break it, and in Egypt we were really fortunate to have Moufid as our guide. He has a phenomenal breadth and depth of knowledge about both ancient and modern Egypt, and had a most enthusiastic way of communicating that knowledge. He made sure we got the most out of our limited time at each stop. The trip definitely lived up to its billing as an intense, fast-paced overview. I'd love to go back some day, but even if that's not possible, I have many wonderful memories! The trip was fabulous. Everything was very well organized and well planned. But what made this trip so special was our guide, Maufad. Renate and I have been very fortunate this year to have traveled all over the world, but never have we encountered a guide so knowledgeable, friendly, patient and caring as Moufad. He knew every answer to every question, made special arrangements for us along the way, and generally did everything he could to make this trip the best experience we had all year. Thank you for organizing a wonderful trip, and especially thank you for providing us with Moufad. We enjoyed the trip immensely due to the fact that we had a good group and our Tour coordinator was wonderful. He was so good that most of us learnt a lot from him. Mr. Monsour is a scholar in Egyptian history indeed. His ability to manage the Tour and look after the needs of the group members was also very good. We have no hesitation in saying that you should have him and people of similar depth of knowledge as tour coordinators for future travelers. He was simply very good. We are thankful that we had him. All in all the trip was, though hectic, very enjoyable. The trip was great. In the past 15 months, we've traveled/toured with Gate 1 three times. Belgium and the Netherlands in October, Israel in February and now Egypt. The minute we arrived at the Cairo airport, a Gate 1 Travel rep was there waiting, enthusiastic and with a smile. The service was great along with the hotel locations. Amro, our tour guide, was fantastic. He went above and beyond, was always mindful, open to any question and willing to sharing his knowledge about ancient Egypt. Our next trip is to China with a side trip to Tibet. Egypt was great! This was probably the most exotic place we have ever been to. As our guide pointed out, Egypt is a Third World Country; much poverty. The souvenir hawkers are very annoying, but once you learn to ignore them, its fine. 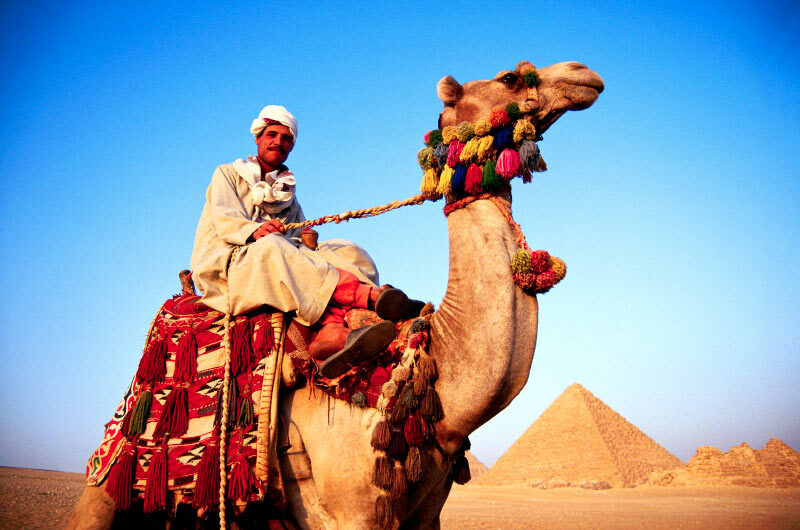 Once you are outside of Cairo and in the countryside, people everywhere wear the traditional style dress. Nothing has changed for hundreds if not thousands of years. People still farm using animals: oxen, water buffalo, donkeys, and horses. I think if Jesus got off the bus, he would be in familiar surroundings. Our Nile cruise ship, Neptune was perhaps a little outdated, compared to the other ships, but this was perfect for us. When traveling, we like to stay in older hotels as they have so much more character than the new modern facilities. The Neptune gave us more of a sense of what a Nile cruise used to be like, before everything became so generic. The rooms were quite spacious with beautiful dark paneling, and the food was superb. I wish we could have brought the chef home with us. The sights are incredible: pyramids, temples, monuments, etc. 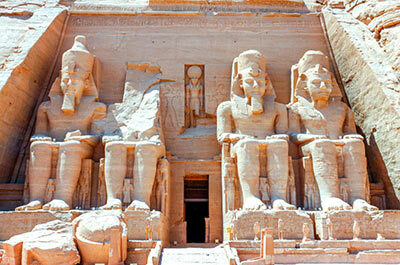 The ancient Pharaohs built to impress, and they still impress today. The word awesome cannot describe it. We see photos and know that these places are magnificent, but photos can't capture it. When you stand at the foot of these places and look up at them, you are truly in awe. Our guide, Hanan, was extremely knowledgeable about the antiquities, and very enthusiastic. She was wonderful, and worked arduously to make everything move along smoothly. I can't thank her enough for all she did. This is one place on our planet that everyone should visit at least once. I highly recommend it. Our trip was wonderful. The ship and hotels were very nice. The best part of our trip was our guide Shareen. She was by far the best guide we have ever experienced. Her knowledge of Egypt and its history was extensive, but she had a way of bringing it all to life and making it interesting for a group of forty people, which was no easy task. She also kept everything running smoothly even though the schedules had to be changed a couple of times. She addressed every issue in a timely and pleasant manner and was always a joy to spend time with. She made our trip a thousand times better and we feel honored to have met her. My sister and I had the most wonderful time in Egypt, I would highly recommend the tour to anyone who is considering going there. Our tour guide, Neveen, was fantastic and extremely knowledgeable on everything from temples to our smallest concerns and most professional. I cannot say enough about her and everyone in the 'Isis' group totally agreed that she made our experience very special. I will most definitely choose Gate 1 for my next adventure. The trip was wonderful and we enjoyed every moment, though hectic. Planning and coordination was amazing. We never had to wait for anything. Planning for visits and timing were perfect and helped us see most of Egypt. Our guide, Hassan, was extremely helpful, knowledgeable and he really took care of all our needs. The cruise on the Nile was enjoyable and brought together all members of the group. We went to Egypt as strangers and came back as friends, thanks to Hassan. He made us feel at home in every place. The trip was very nice and we enjoyed every minute of it, especially not having so many people in our group. Also, I would like to congratulate Gate 1 Travel for having such an experienced tour guide who really made our trip more enjoyable and interesting. I have recommended Gate 1 Travel and I will be contacting you for a future trip. The trip was wonderful! We had a great tour manager, Amir, who brought ancient history alive for us! We also visited a farming family who demonstrated how they're self-sustained from their land, from grinding corn on 200 year old stones to braiding rope from plant fibers. I understand that we were only the second group to do that, and it was a valuable experience. And, also extremely valuable, on Day 7 Amir conducted a question and answer session while we were cruising to Aswan to answer our accumulated questions on present day culture of Egypt. Regarding gratuities, it would be very helpful to note that $1.00 bills are great to bring along for tipping, because smaller bills in Egyptian pounds are hard to come by. In general, dollars were accepted for everything and use of a Visa was very limited....cash, cash, cash either pounds or dollars. The trip was terrific, and we'll definitely book with Gate 1 Travel in the future. Absolutely wonderful, fantastic! There aren't enough adjectives to describe the incredible time that we had. Amr was one of the best guides we could have hoped for. I've been telling all of our friends about the tour and Gate 1/ We already have 2-3 couples looking into doing a similar tour with Gate 1 in the near future. It was everything that I'd hoped for and even more. Thank you for your exceptional service!! The trip was great. Everything was top draw. What an experience! The Pavillon Winter Hotel in Luxor was the best. Our guide, Amir, was terrific, so well organized and so very nice. Amir is a KEEPER! Gate 1 travel is also a keeper, never fails to disappoint. Keep up the good work. Thank you. The trip was great. Amir was a wonderful tour guide and very professional in every way. I can not say enough positive things about him. It was a trip of a lifetime and I hope to return some day. Thank you for all of your help as well. I will recommend Gate 1 and you, Carol Ann, to anyone I meet looking to book a tour. How fabulous!! Out of 10 you scored a 10. We were up, and out, and felt as though we saw everything there was to see and experience in Egypt. For the price we paid I know you cannot beat it. Our tour guide, Husseum, was the most patient, knowledge, sincere guide. You are lucky to have him!!! He represents Egypt with class and dignity. Our only problem is where to book next. Nothing will beat this trip, it truly was a once in a lifetime experience. Thank you for your help and concerns. I really enjoyed the trip-fantastic!! Our guide, Hussein, was wonderful! Although I was tired because of the jam packed schedule and excursions, it was so worth it and I would book with Gate 1 again! Everything was great. Our guide, Mofid, was wonderful. He made the ancient world come alive. We were strangers in a strange land but he helped ease us into that world. I was treated on the boat to a private tour of what I could and could not eat (I am allergic to egg and anything made with egg) for each meal. At times I got special dishes. Everything about our trip exceeded our expectations. Of course, Egypt speaks for itself, but you, Victor, Gate 1 and Hisham, were marvelous. From the beginning, I appreciated the information that you offered and your suggestions with regard to side trips and other details. You were spot on. All of our arrangements worked smoothly and we were met in Cairo by Hisham. We expected a guide, but Hisham was so much more. His passion for Egypt was evident. His knowledge of its history, mythology, culture (both ancient and modern), and language are encyclopedic. He was able to simultaneously educate us, entertain us, and always make us feel well cared for. My daughters and I concluded that whatever Gate 1 pays, Hisham's pay should immediately be doubled. No, tripled, at least. In fact, we think that Hisham should become the worldwide spokesman for Gate 1 on television, the internet. Perhaps Hisham should be the spokesman for the nation of Egypt to boost tourism! We can't say enough. This was our first experience with a tour. I can't imagine that any other could even begin to measure up. This one one of the most exhilarating, educational and best vacations I've been on. I traveled alone on a full escorted tour with Gate 1 and Moufid, we toured Egypt and stayed at the Oasis hotel (in Cairo), 3 day Nile cruise (from Aswan to Luxor), and finally a return to the Ibertol Resort and Casino (in Cairo). It was my retirement present to myself and I say I am in awe and walked away with a broader knowledge base many thanks to my tour guide, Moufid. I was never nervous and had no knowledge of Gate 1, but I thought a fully escorted tour would be safe! The price was cheaper then most, but I felt comfortable booking my trip, and I was elated and received more than money can pay for a trip like this. I would recommend them over and over and can't wait for my next excursion. Thanks Again to Moufid and Gate 1. He is so knowledgeable and dedicated to his work and very easy going and fun. There was not a question he did not have an answer to. He offered private sessions to discuss our trip and made our travel to attractions safe and hassle free. Our trip was fantastic! Our tour guide, Moufid, was wonderful. Gate 1 did a fantastic job hiring this guy. Also, a big thank you to Gate 1, you all were great at answering any questions. Upon arrival I was relieved to see that a Gate 1 representative was there waiting for us as stated. He and the driver were very friendly and everything went smoothly. When we arrived at The Oasis Hotel, there was Moufid to introduce himself and help get us checked in. The Oasis hotel was fine, I will say that we didn't care for their food, but really, that is our only complaint about that hotel, and it's not like we were going to Egypt for a culinary experience. Moufid was continually a wonderful presence. Extremely knowledgeable, going out of his way to answer questions, to make sure everyone was happy. Things were pretty seamless. The MS Queen of Hansa was pretty nice, the service on the boat was awesome! We really enjoyed the cruise portion of our trip. One day I got ill when we were at the Valley of the Queens and Moufid even sat there with me, offering water and whatever I needed to see that I would feel better. This guy really cares about his guests, how refreshing! It probably doesn't even occur to him that he is a freaking superstar tour guide, even if he does hear the compliments, a very humble guy. It was extraordinary !!!! The entire trip was phenomenal but of utmost importance is that our guide, Ayman, surpassed all expectations. He worked tirelessly to meet our EVERY request. Ayman's sense of humor, flexibility, and dedication is to be truly commended! We're looking forward to our next Gate 1 adventure. 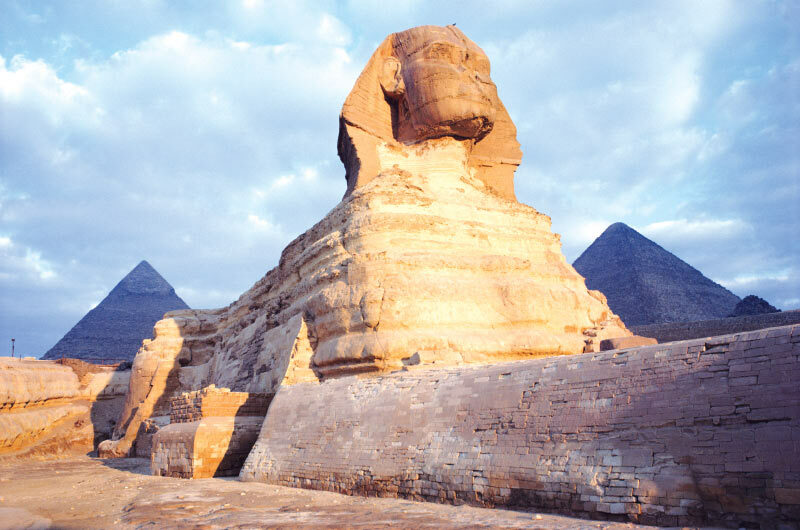 My clients Michael and Ruth S. had a wonderful experience in Egypt this summer. Gate 1 is to be congratulated on doing an excellent job. They were so surprised at everything including the excellence of the tour and the great tour guides. The trip to Egypt was fabulous. We got to see all the things on my list to see. We had an excellent guide, Amro. He was extremely knowledgeable and able to handle every situation. 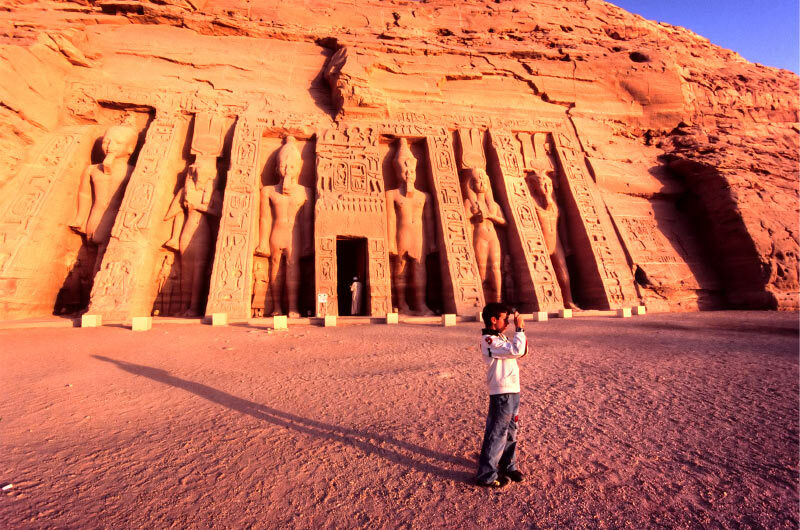 For example: We signed up for the flight and tour to Abu Simbel. Egypt Air delayed our flight and made it not feasible to depart on the appointed day and this was one of the reasons I took this tour. Amro was able to rebook it for the next day and we didn't miss a beat. He is a real gem. The hotels were top notch and the Queen of Hansa ship was perfect for river cruising. 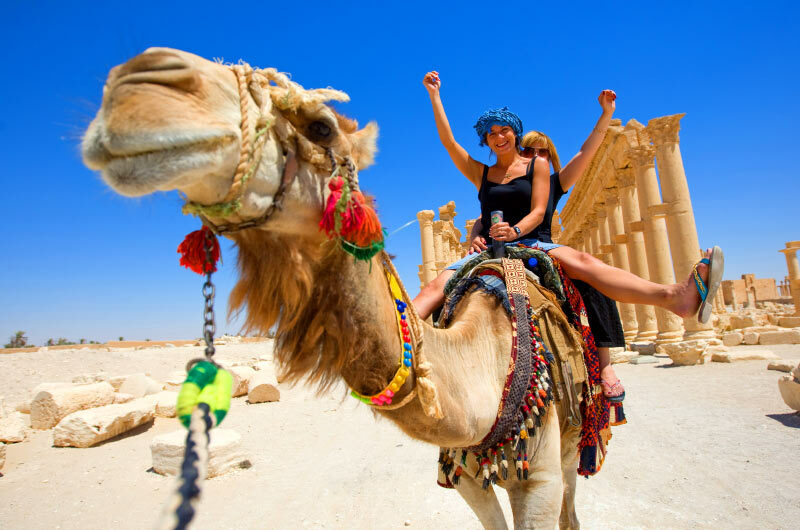 We booked most of the optional tours through you. I did decide to do the Pyramid light and sound show along with the pre booked Luxor show. I liked the Pyramid one better. Gate 1 did a great job preparing us for the culture of Egypt. The information was right on target. I liked being made aware of the tipping mentality so we came prepared and that there would be an armed guard on the bus. The only negative feature and this has nothing to do with Gate 1, was the temperature. It was over 100 every day and sometimes 116-120. They are having the hottest summer ever. No wonder we got a good rate. My husband is a college professor so we are locked in to when we can travel There were quite a few other educators on the trip. Thanks for your assistance. 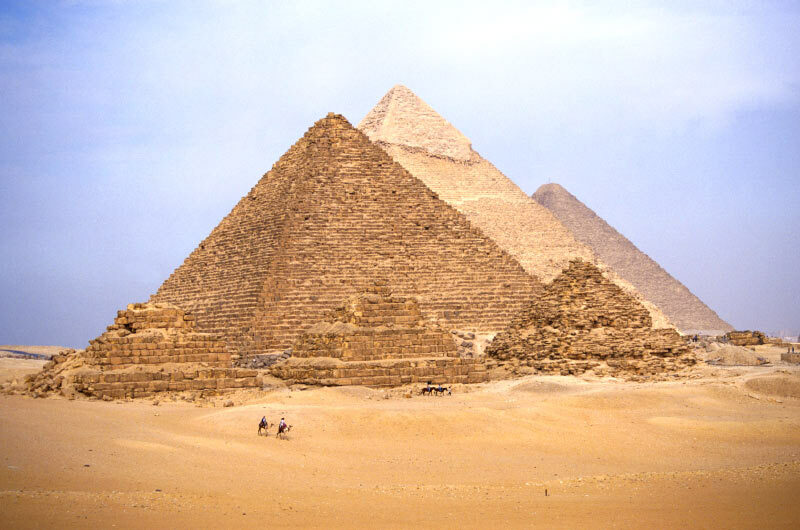 I just recently returned from the 12-day trip to Egypt, which included the 4-day Nile cruise, Cairo, and Hurghada. I travelled with my 9 year old son in a group with 18 others from the United States. Despite the early mornings, every excursion was worth waking up for. We had the most amazing guide throughout our trip. Hossam was very professional and extremely organized. Everything on our trip went very smoothly. On one occasion, because of road closures in Esna, our bus was unable to maneuver through the crowded roads. We had no choice but to abandon our bus and travel to our river boat by caleches. Hossam organized caleches for all of us and paid each driver once we made it to our boat. It was an unforgettable experience that allowed us to really savour the culture of rural Egypt. Hossam was very knowledgeable about everything we asked him about, and he was very patient, helpful, and caring with all of us. Many days we were very exhausted from the constant travel and blazing heat, so I'm sure he must have been feeling the same. He never showed it though. He was energetic throughout. My son and I learned a lot on this trip thanks to Hossam's expertise. We were also very lucky to have travelled with so many amazing people. I was very pleased overall with the itinerary of this trip as well as the accommodations. The food in Cairo and on the cruise were especially good. This was definitely a trip of a lifetime that I will cherish forever. Thank you, Hossam and Gate 1 for making this our best trip ever. This was an amazing trip to Egypt and well worth the price!!! The added benefit of our English speaking guide was worth the price of the whole trip!! Navieen provided us with insight into Egypt today and the Egypt of yesterday. Wonderful! I just returned from a tour to Egypt with guide Moufid Mousour, who I must say was an excellent guide. The trip was great and I plan to take it again in the next year or so with Moufid. I want to send a card, email or get in touch with our security guard that we had in Luxor, Mohamed. He was with us for two days and I would like to thank him.